Sunrise at Meadowbank is located just meters away from the picturesque Parramatta River and is conveniently accessible via train, bus or ferry. With local amenities on your doorstep, Sunrise offers a combination of impressive convenience and peaceful sanctuary. Sunrise offers its own private beautifully designed intimate landscaped courtyard with a picturesque BBQ, entertainment area and recreation space. Offering the perfect combination of luxury and functionality, a Sunrise apartment ensures comfort and opulence on every level, turning your home into a cherished retreat. With only two apartments per floor, Sunrise offers intimacy and privacy. 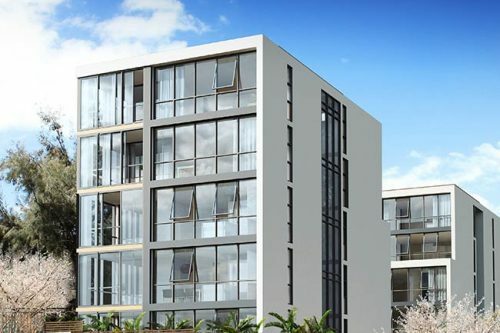 Within an abundance of parks, cycleways and close to the harbourside peninsula, Sunrise is ideally located and is well serviced by both Meadowbank train station and Meadowbank ferry wharf terminal. Located between two major shopping precincts, Rhodes Waterside and Top Ryde City, Meadowbank offers the perfect lifestyle for entertainment and enjoyment. Accessibility is at the core of living in Meadowbank, a suburb surrounded by parks and plenty of open spaces to relax and explore. Great opportunity for first home buyers and investors!